This is all that remains of the original 1772 West Gallery and the organ which stood upon it. 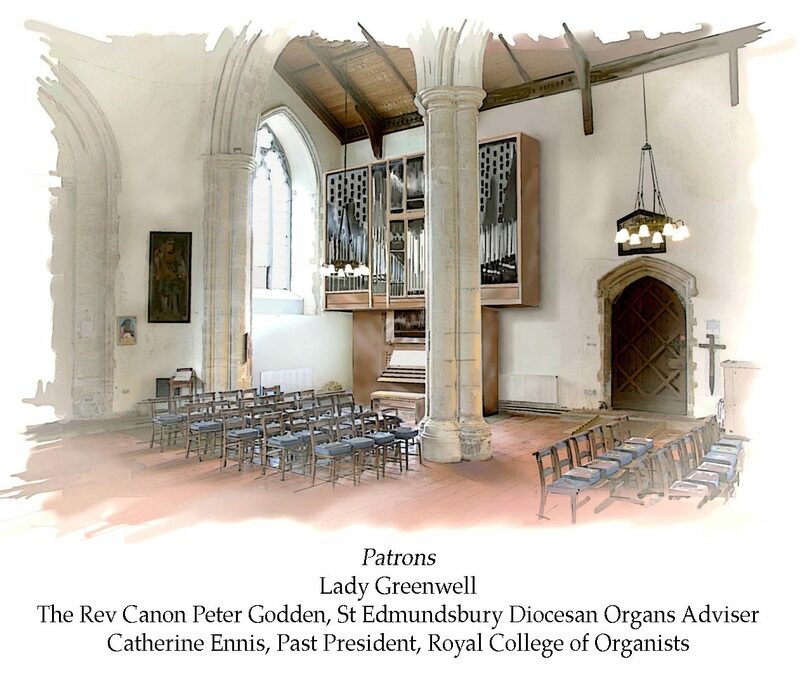 Nothing is known about the organ, and the panel commemorating it now forms part of the vestry wall behind the Chapel of Our Lady in the Wall. Francis Seymour-Conway, 1st Marquess of Hertford (1718 – 1794) was a Privy Councillor and sometime Ambassador to Paris. By his wife Lady Isabella Fitzroy, who was descended from an illegitimate son of King Charles II, he had 13 children.